For at-home iPod listening, the Bose iPod speaker system is a proven performer and now updated with new, slimmer profile. The Bose® SoundDock® Series ll digital music system carries recognizable Bose sound quality to your kitchen, bedroom, or living area from a very small system. The system's sophisticated look features smoother lines and sleek configuration. It's contemporary design works well with any décor. Just slip your compatible iPod or iPhone into the iPod docking station, which is Apple-certified, and bring your favorite songs to life. The system charges as the iPod or iPhone plays, so no interruption from your music. The improved remote handles the Bose® SoundDock® system functions such as power, volume, and track seek from almost anywhere in the room. Bose® proprietary signal processing technologies deliver an enjoyable listening experience at any volume level. In addition, you can enjoy radio on the SoundDock® Series II Digital Music System with the optional Bose® AM/FM App, available at the iTunes® store. iPod is a trademark of Apple Inc., registered in the U.S. and other countries. iPhone is a trademark of Apple Inc. All other marks are property of Bose Corporation. 4.730769230769226 (26 Reviews) 96% of reviewers would recommend this product to a friend. Best wall shaking sound explosion ever!! Product Review: This sound dock takes over my stereo system - Easy setup - Great sound. Excellent sound I recommend it. Product Review: Excellent sound quality like all the sound system manufacturated from Bose. Before purchasing, I just want to make sure that an Iphone 5 will fit in the dock with the new pin system. For iPhone 5 users: iPod and iPhone models with an Apple Lightning™ connector require an Apple Lightning to 30-pin adapter (sold separately) for use with SoundDock® 10, SoundDock Portable, and SoundDock Series II systems. Thank you for your inquiry. Have a great weekend! Bose® does not disclose the wattage of its products. Sorry for any inconvenience. Thank you for your inquiry. For a mobile Bose® sound system that is also rechargeable, please review the SoundLink® Bluetooth® Mobile Speaker II or the SoundLink® Wireless Mobile Speaker LX. Thank you for your inquiry. hi ,only i need the power pack for sounddock serie 2,do you have? No, YEW does not currently offer the power pack for the Bose® SoundDock® Series II at this time. Thank you for your inquiry. can you plug in a laptop to this system for audio? yes, you can use the auxiliary input to connect your laptop to the Bose SoundDock. Thank you for your inquiry to YEW. does this bose unit operate on batteries? The SoundDock does not operate on batteries. Thank you for your inquiry. Discount Golf World is an Authorized Dealer of every product we sell. We do not sell used or refurbished items at our store. Thank you for your inquiry. Have a great day! can I put a microphone into the aux input? No, you may not put a microphone directly into the Bose® SoundDock® Series II Digital Music System's aux input. On the other hand, in order to control/use the microphone you would need a microphone or pre-amp board as the another music source with your system. This will require a stereo audio cable with a 1/8-inch (3.5mm) mini plug (not provided) so that if your iPod® is not docked, the connected device will play automatically once it send the audio signal to the SoundDock® system. Thank you for your inquiry. Please call 1- 866-224-6171 for additional assistance. This part for the Bose SoundDock Series II Digital Music System is not available online, though if you contact Bose® technical support group they can help order it for you. They can be reached at 877-210-3782 and are open Monday through Friday 8:30am to 10pm EST. Saturday 9am to 7pm. Is this model compatible with iPhone 3GS and iPhone 4S? Will this product able to charge my iPhone (either 3GS or 4S) using this model? 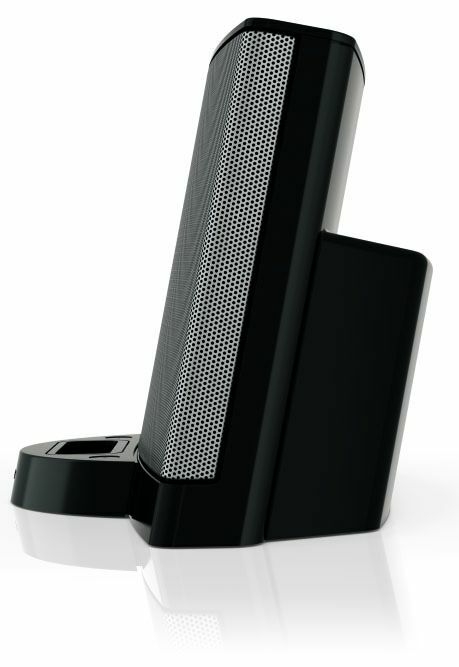 Yes, the Bose® SoundDock® Series II is compatible with the iPhone 3GS and iPhone 4S. It will charge your cellular device while on the dock. Thank you for your inquiry. how many watts do the speakers in the series II system? Bose does not disclose the wattage of its speakers generally. If you have any questions please call us 1-866-224-6171. Thank you. If you have an iPod® or iPod Touch® with cover, you need to pop the inner tray out and make sure the Bose® SoundDock® Series II docking station is able to fully read the device. Otherwise, please contact Bose® Customer Service for assistance at 1-800-231-BOSE (2673). Sorry, but no. You can not hook up additional speakers to the Bose SoundDock Series II. how many watts is this system ? Sorry, but Bose does not disclose the wattage information on the system. 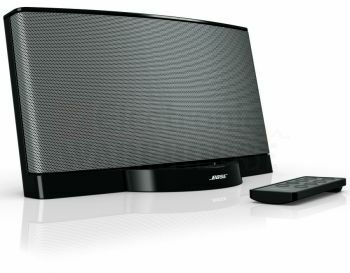 Yes the Bose SoundDock Series II will work with all generations of the iPod Nano. The full manufacturer's warranty from Bose is only valid when the Bose SoundDock Series II Digital Music System is purchased from an Internet Authorized Dealer. We will match any Internet Authorized Dealer's best price on the Bose SoundDock Series II Digital Music System.